For the Battle of Saint-Mihiel, the division moved into an area south of Verdun as part of the First American Army. General John Pershing, commander of the American Expeditionary Force (AEF) on the Western Front, had gotten the French and British to agree that the AEF would fight under its own organizational elements. One of the first missions assigned to the AEF was the reduction of the St. Mihiel salient. The 4th Division, assigned to V Corps, was on the western face of the salient. The plan was for V Corps to push generally southeast and to meet IV Corps who was pushing northwest, thereby trapping the Germans in the St. Mihiel area. On 26 September, the last great battle of World War I, the Meuse-Argonne Campaign, began. Moving under the cover of darkness for secrecy, the Americans had moved into their sector of the front following the completion of their mission in the St. Mihiel area. Three United States Army corps were assigned sectors along the United States part of the front. III Corps held the extreme right (eastern) part of the front with V Corps to their left. The 4th Division was assigned to III Corps. The III Corps sector had the 33rd Division on the right, the 80th Division had the center, and the 4th was assigned the left, with the 79th Division of V Corps on their left. In October 2015, the US Army announced that 1,000 troops from 4th Infantry Division’s Combat Aviation Brigade would be sent to Afghanistan sometime in winter, with another 1,800 soldiers from the 4th ID’s 2nd Infantry Brigade Combat Team deploying to Afghanistan in the spring 2016. On August 12 2016, a U.S. Soldier from 1st Battalion, 12th Infantry Regiment, 2nd Brigade Combat Team, 4th ID died from a noncombat-related injury in Kandahar. On November 3 2016, he U.S. Army announced Thursday that it will deploy about 4,000 soldiers from 3rd Armored Brigade Combat Team to Europe in winter in support of Operation Atlantic Resolve - to help deter possible Russian aggression. The brigade will arrive in Poland and will fan out across the continent, one battalion with M1 Abrams tanks will cover the Baltic region of Estonia and Latvia, while another will operate in Germany. A mechanised infantry battalion with M2 Bradley troop carriers and M1 Abrams tanks will have a foothold in the Romanian and Bulgarian region, whilst Brigade headquarters will remain in Poland, along with an armoured cavalry unit and a field artillery battalion wielding self-propelled M109 Paladin howitzers. ↑ "Division History". National 4th Infantry (IVY) Division Association. Retrieved 2016-05-07. ↑ Stanton, Shelby L. (10 April 2006). 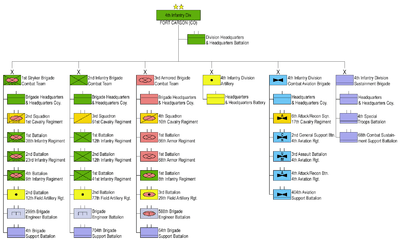 World War Two Order of Battle, U.S. Army. Stackpole Books. p. 81. ISBN 978-0-8117-0157-0. Retrieved 11 September 2012. ↑ "66th Armor". U.S. Army Center of Military History. Retrieved 2012-06-15. ↑ "67th Armor". U.S. Army Center of Military History. Retrieved 2012-06-15. 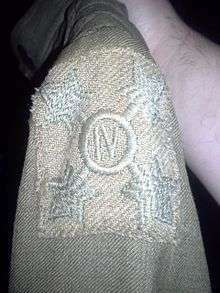 1 2 National 4th Infantry (IVY) Division Association. "Division History". 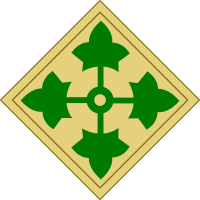 National 4th Infantry (IVY) Division Association. National 4th Infantry (IVY) Division Association. Retrieved 28 September 2015. ↑ Russell, Steve (2011). We Got Him! : A Memoir of the Hunt and Capture of Saddam Hussein. USA: Simoin and Schuster. ISBN 1451665121. ↑ Ricks, Thomas E. "It Looked Weird and Felt Wrong". The Washington Post. ↑ Ricks, Thomas E. (25 July 2006). Fiasco: The American Military Adventure in Iraq. Penguin Press HC, The. p. 153. 159420103X. 1 2 Peters, Ralph (28 August 2007). "He's a Fighter: How Odierno is Building Peace". The New York Post. ↑ Pike, John. "Iraq Pacification Operations". GlobalSecurity.org. GlobalSecurity.org. Retrieved 28 September 2015. ↑ Cavendish, Julius. 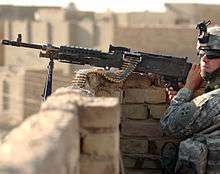 "Afghanistan war: US troops' new push into 'heart of darkness'". The Christian Science Monitor. Retrieved 1 November 2014. ↑ KC Cady. 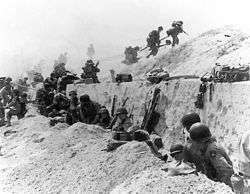 "The Battle of Kamdesh - A True Story of American Valor". Youtube. Retrieved 2016-02-19. ↑ The U.S. Army No real name given + Add Contact. "Language class | Flickr - Photo Sharing!". Flickr. Retrieved 2012-06-15. ↑ Ingram, Andrew (21 February 2012). "4th BCT cases colors, looks to Afghanistan". 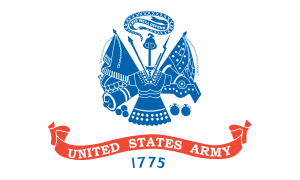 U.S. Army. ↑ Harrell, Diandra. "2-12 Soldiers return from iraq mission". The Fort Carson Mountaineer. 4ID Public Affairs Office. Retrieved 28 September 2015. ↑ "Upcoming U.S. Troop Deployment Could Be Last for Afghanistan". military.com. 9 October 2016. ↑ "Soldier dies from noncombat injury in Afghanistan". armytimes. 14 August 2016. ↑ "TWO BRIGADES FROM 4TH INFANTRY DIVISION TO DEPLOY TO AFGHANISTAN". armymil. 8 October 2015. ↑ "Army Orders Armored Brigade to Europe to Bolster NATO". military.com. 3 November 2016. ↑ "2 brigades of nearly 6,000 troops head to Europe amid growing Russian tensions". stars and stripes. 3 November 2016. ↑ Archived 27 March 2010 at the Wayback Machine. ↑ "Bring on the Strykers;1st BCT, 4th ID switches mission | Army Times". armytimes.com. Retrieved 2014-07-21.